I am an avid Pinterest-er AND we all know about my ups & downs when it comes to my healthy meals. I have a pin board on my Pinterest page dedicated to new recipes for the different seasons and dedicated to healthier eating since that is where my knowledge lacks. 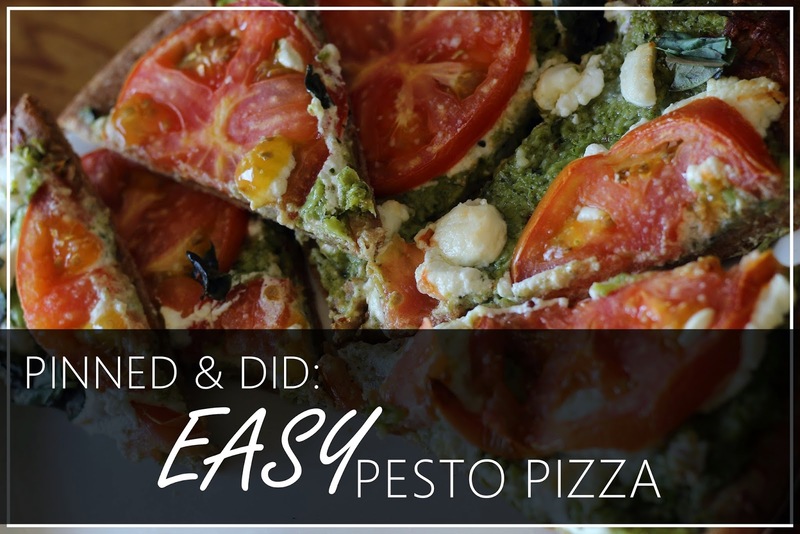 While browsing through earlier this week, I came across this pin that lead to Budget Savvy Diva's Easy Pesto Pizza recipe. First off, her photos are to die for! Of course I went through and read it in it's entirety, but it was her images that drew me to try this recipe!! Thumbs up to that!! So while reading through, I discovered that I had most of these ingredients in my kitchen already! Double score for not having to break the bank to make this. I often get discouraged when I find a great recipe just to read that it needs 32 ingredients, and some I would have to travel to the motherland to find! 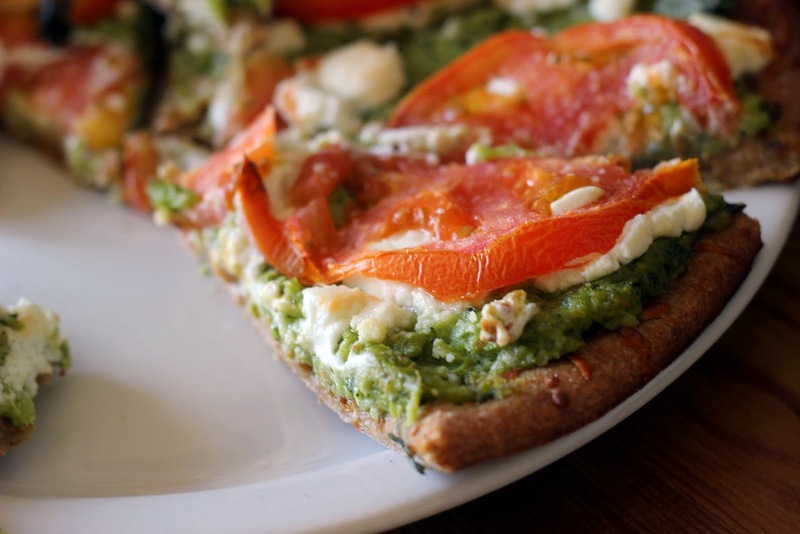 This recipe only has 10 ingredients and that's including the crust! So I am going to start off by kicking myself for not owning a food processor! I know, but trust me, it's on my weekend shopping list of things to get! I added all of the ingredients that needed processing into my blender, which I do NOT recommend (maybe I own a cheap blender, but it took FOREVER!). I followed the recipe in it's entirety until it came to the crust. 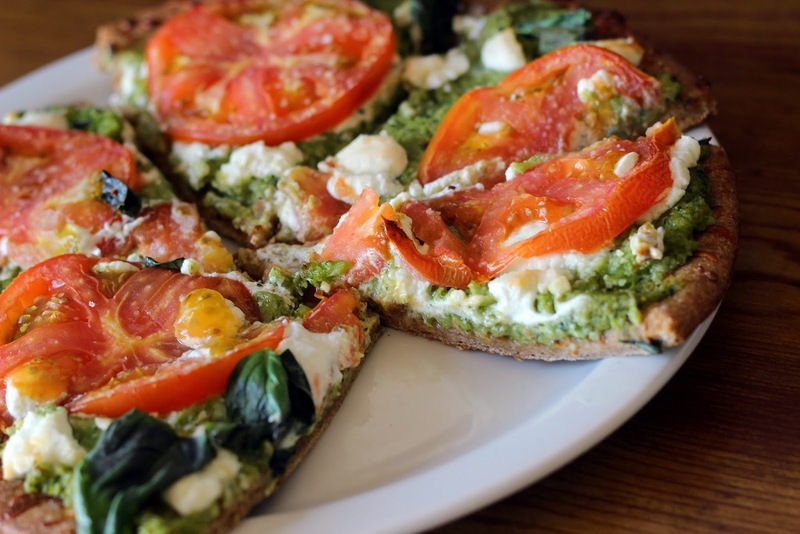 I substituted refrigerated pizza dough with a Boboli 100% whole wheat crust. This SURPRISINGLY was GREAT! I say surprisingly because I've never eaten a pizza w/out meat! I am a straight carnivore, so for this to taste as yummy as it is was a complete shocker to me! 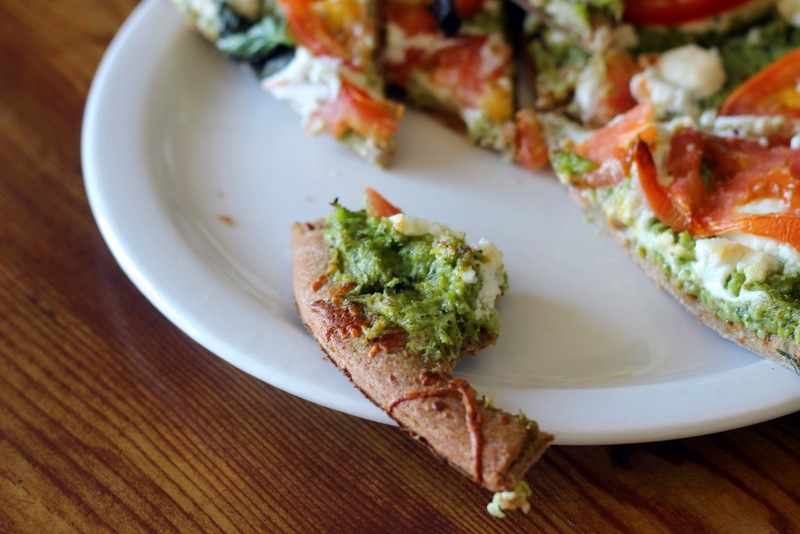 Have you ever tried Pesto Pizza before or would you? Let me know if you do and how it turned out for you!! Thanks to Budget Savvy Diva for the great recipe and follow me on Pinterest! !